This is Lesson 8 of a Series, all focusing on the verb COMPRARE. 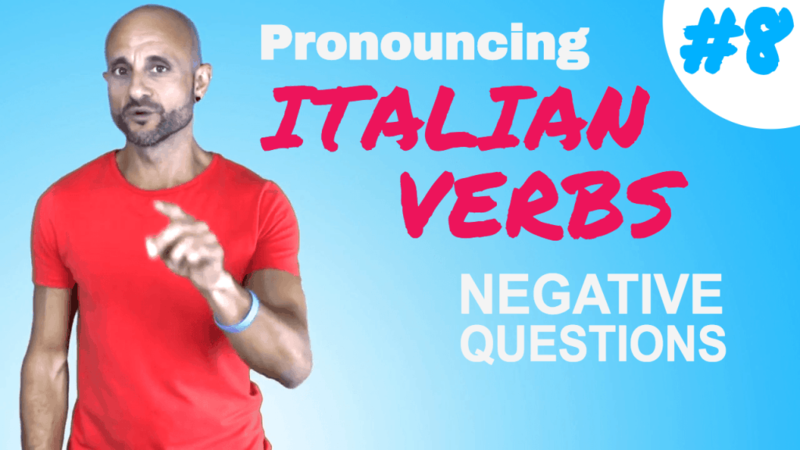 We are working with the Passato Prossimo (Past Tense) of the regular -ARE verb COMPRARE (to buy), in the negative question form. 1) IERI NON HO COMPRATO UN TELEFONO? 2) LA SETTIMANA SCORSA NON HAI COMPRATO UNA CASA? 3) DOMENICA SCORSA LUISA NON HA COMPRATO UNA BICICLETTA? 4) DOMENICA SCORSA MARCO NON HA COMPRATO UNA BICICLETTA? 5) L’ANNO SCORSO MIA SORELLA NON HA COMPRATO UN CANE? 6) L’ANNO SCORSO TUA SORELLA NON HA COMPRATO UN CANE? 7) GIOVEDÌ ABBIAMO NON ABBIAMO COMPRATO UNA MACCHINA NUOVA? 8) L’ALTRO IERI NON AVETE COMPRATO UNA PIZZA? 9) L’ANNO SCORSO I TUOI GENITORI NON HANNO COMPRATO UNA BARCA?